Finally, the veil of Google Nexus 7 has been taken off. 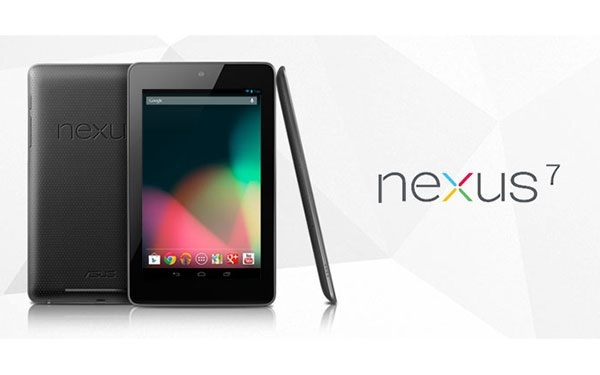 Google Nexus 7 is a 7-inch tablet made by Asus, running on Android 4.1 Jelly Bean. There are both 8GB and 16GB models, featuring a 7-inch 1280×800 HD display (216 ppi), back-lit IPS display, scratch-resistant Corning glass, a quad-core Nvidia Tegra 3 processor, a 12-core CPU and a 4325 mAh battery that promises about 8 hours of power use. Google claims the tablet will keep kicking for 10 hours of reading or 8 hours of HD video playback on a single charge. The specs make the Nexus 7 a visually rich platform for watching movies (Convert AVCHD to Google Nexus), playing games and reading e-magazines. The devices also tout near field communications (NFC) technology with Google Wallet, GPS and a 1.2MP front-facing camera. The 8GB model will cost $199, putting it right on par price-wise with Barnes & Noble’s Nook Tablet and Amazon’s Kindle Fire. And the 16GB device will be priced at $249. Both are available now for pre-order from the Google Play store, and are expected to ship in the next 2-3 weeks. What makes Nexus 7 outstanding is that it is running a pure version of Android. Both the Nook and Fire are running Android, but these are stripped-down custom version of the Android OS. A pure version Android means that you can access to all the apps you’re going to want, and fully integrates with Google services like Gmail and Google +. What do you think of Google Nexus 7? It is called “the first social streaming media player” at $299. Yes, it is the new product at 2012 Google I/O—Google Nexus Q.
Google has launched a new home media server called Nexus Q at its developer conference in San Francisco. What indicates in the statement “the first social streaming media player” is that it functions as a cloud-connected jukebox. The black, spherical orb can be used as an amp to power speakers, hooked up to an HDTV, and is controllable from any Android device running Android 2.3 “Gingerbread” or higher. It grabs content from the Internet and lets you play it on your big-screen TV. (Unlike those other, cheaper devices, it also has its own speaker amplifier.) Users on the same local network can also control it from their own mobile devices, “throwing” content like video or songs onto it. Based on the demonstration of Google, Google Nexus Q is a derivative of the company’s home automation division “Project Tungsten”. It measures 4.6-inches in diameter, and weighs a hefty two pounds. The Nexus Q runs Android 4.0 “Ice Cream Sandwich” and sports an OMAP 4460 dual-core ARM Cortex A9 CPU with an SGX540 graphics core, 1GB of RAM and 16GB of flash memory storage. The Nexus Q has a full complement of ports, including Micro HDMI, TOSLink optical audio, Ethernet, and speaker jack connectors, along with a single micro USB port that Google says is for “service and support only”. It also features Bluetooth, Wi-Fi 802.11b/g/n and near-field communications (NFC). As to visual effect, the device features 32RGB perimeter LEDs and a single RGB LED that acts as a mute indicator. For the apps it supports, there are Google Play Music, Google Play Movies and TV, and YouTube. However, when comparing to Apple TV it is weak and the price is too high as well. The Google Nexus Q priced at $299 and will ship next month. It is reported that the second generation Amazon Kindle Fire tablet will make a debut in this summer, and the rumored release date of Kindle Fire 2 is July 31. Reports about the release of Kindle Fire 2 have been aired a lot before. Recently report from DigiTimes stating that Amazon considers launching a full new 7-inch tablet, adopting 1280 x800 screen resolution and be priced at $199. With HD display, it is easy to imagine that to play video on Kindle Fire 2 will be quite amazing. This product is likely to launch early in the third quarter this year. The report also indicates that Amazon plans to cut the price of the first generation Kindle Fire down to $149. In addition, Amazon may not release tablet PC with bigger size as rumored. And a new Kindle Reader will be unveiled with Kindle Fire 2 simultaneously. According to the source of the latest statement, the second generation Kindle Fire will be with a camera as well as a volume control button. Many users have pointed out before that it is rather inconvenient for them to control the volume via the virtual button only. Still, many things remain unclear: whether Kindle Fire 2 will support Bluetooth connection, what processor it will employ and whether Amazon still insists in providing 8GB storage space only. 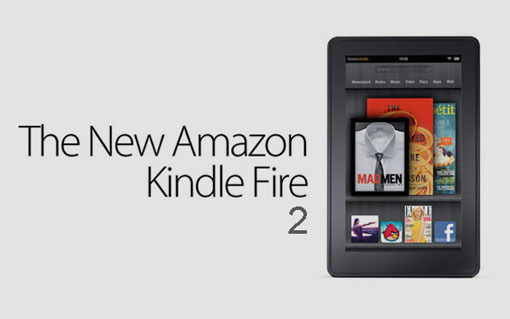 There is also rumor that Amazon will provide Kindle Fire 2 with subsidy through Special Offers. The upgrade roadmap of Amazon products is quite similar to Apple: new function added, design & performance optimized and price unchanged. Thus, Amazon is unlikely to cut the price of Amazon Reader down to $79, it will make some improvements on the current basis of Amazon Reader instead. Nook Simple Touch with Glowlight has been put into the market for a few months, with price at $139. It is expected that Amazon will launch a new Kindle Touch with lower price. And there is also possibility that Amazon will add a backlit function to the entry-level Kindle Reader. In September last year, both Kindle Fire and Kindle Reader were released by Amazon, but until November that sales started. So we can conclude that the next generation Kindle Fire 2 is not only for Christmas shopping season, but also for back-to-school season this year. How to Download YouTube Video to Kindle Fire? How to rip and convert DVD to Kindle Fire video on Mac and PC for freely playback? 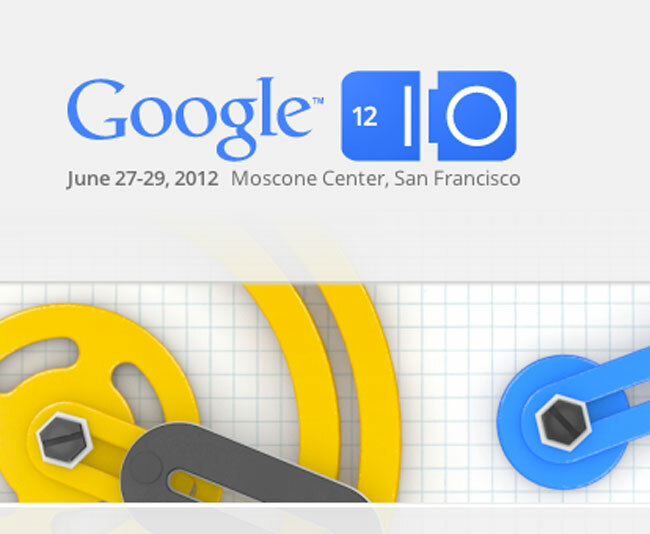 According to foreign media reports, Google I/O 2012 will kick off on this Wednesday, with some hardware, software and services to be revealed. As usual Google I/O 2012 dues on April 24 and April 25, but the date has been changed to June 27, 28, and 29 on November last year. The days of Google I/O is extended from two days to three days, which indicates Google pays more and more attention to the ecological system of developers. In the previous Google I/O conference, lots of vital products, services and plans will be unveiled, including various versions of Android System, Chromebook, Google Music, Google TV hardware, Google Wave, etc., so it is also expected that many new hardware, software and services will make a debut. Android 4.1 Jelly Bean is the right version after Ice-cream Sandwich. Until recently, Android developers still consider Jelly Bean is the name of Android 5.0. But seen from the leaked information of Samsung Galaxy Nexus, Jelly Bean refers to Android 4.1. That is to say, it will be a minor update this time. The highlight of Jelly Bean system lies in that it may be the Android version Chrome. The software Beta version has been released in February. It is reported that Google is going to release a new product that owns the capacity to complete with Apple Siri. Voice input is supported by Google Android system now, however, speech recognition is still a function but not a service. Google Assistant will a more comprehensive product. It is likely that Google might be interested in launching hardware products based on Motorola Mobile after the acquisition. The possibility has been mentioned by Google executive Eric Schmidt on December last year. It is expected that Google will release a 7-inch tablet Google Nexus. Amazon Kindle (enjoy video on Kindle Fire) has proved that 7-inch tablet computer owns certain market. At the same time, it will not be dragged into the direct competition with Apple iPad. Google has talked about application engine (App Engine) service platform several years ago. Now it seems that Google is ready for entering the service infrastructure market. Recently Google has redesigned the application engine enterprise website under Google Cloud. According to the media, Google is bound to debut a Cloud platform that can complete with Amazon EC2 before the end of this year. Google I/O will be an ideal place to announce the Beta version of Google Compute Cloud. Google has been testing a kind of hardware which is called “the next generation equipment of personal communication”. In order to comfort its partners, it may not be a handset as well as a tablet. It is said that it can let you transfer music at home which is similar to Apple AirPort Express. Such a product definitely can improve the competitiveness of Google Music. Google TV 2.0 hardware is launched earlier this year. There are a SONY set-top box and a LG TV product in the market. Google still need to continue to work hard so as to keep its market position. It remains unclear what Google will do to restore consumer confidence to its television product, but it needs to do something. Although the official release of the product will be in next year, it is possible that Google will make a demonstration on it. Last year, Google announced Android Open Accessory Development Kit that links Android devices and the external hardware. Wireless networking function is adopted more and more by users, Android should encourage developers to produce Android accessories that are compatible with Android system. Microsoft releases its own branded tablet computer Surface today. The standard version of this tablet is with 9.3mm thickness, 1.5 pounds (675g) weight, magnesium casing, 10.6-inch display, integrated design and Windows 8 system. Two versions Surface RT and Surface Pro will be provided: the standard RT adopts ARM processor and run Metro apps only while the Pro version will be an all-functional PC which employs intel processor and are able to run all PC software. 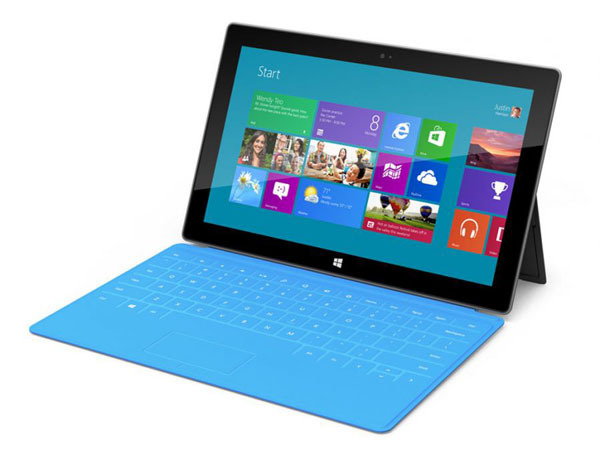 Surface Pro is with 14mm thickness and 2 pounds weight. 32G and 64G two models are included in Surface RT, 64G and 128G two models are covered in Surface Pro. The price has not been announced by Microsoft, but it is reported that it will be similar to AMR tablet and Ultrabook, so it is with certain competitiveness. The RT version and Windows 8 standard version will be released at the same time, and the Pro version will follow three months after this. Surface has full suze USB2.0 port, integrated support, rear-facing camera, removable keyboard (3mm) and the touch cover makes it look like a book. Microsoft also makes a demonstration on Office running on this tablet. Window Phone is with a great popularity these years, the release of Nokia Lumia 800 and Nokia Lumia 900 enhance the flourishing trend of Window phone. One of outstanding points of the above two phones is the gorgeous performance on video playing, so it is quite fantastic to play video on Lumia 800 or enjoy video on Lumia 900. Without doubt, there will be some new happening on Windows Phone. It is reported that Microsoft is bound to make a demonstration on Windows Phone 8 recently, and before it some screenshots of the mobile operating system have leaked out. The screenshots are acquired by Nokia Innovations, from the screenshots you can see a new camera user interface for Windows Phone with a slider on the left side of the frame for zooming and a button for toggling between the front-facing and rear-facing cameras. The Skype integration is also showed by these screenshots. The Skype calls can be answered whether with or without video. In addition, Skype is also integrated into the People Hub so as to allow you dial a contact using Skype just as you might send a text message or place a traditional phone call. From the leaked photos, the DataSmart feature is presented as well, which helps you get access to real-time stats on how much data you have used and how many more days you have left in your billing cycle. The live tile on the main screen enables you to peek at where you stand as far as data usage is concerned and offer you quick approach to the DataSmart screen to see the bigger picture. Another photo is with the hint that Nokia Drive 3.0 is headed to Windows Phone. The maps application presents traffic information and the re-routing information if you miss your turn. Microsoft has promised an event next Wednesday in San Francisco with theme that “A sneak peek at the future of Windows Phone”. We suppose that if not all the above features will be listed at the time, something new about Windows Phone must be stated. It is expected that Windows Phone 8 will be equipped with multi-core processors, four screen resolutions, two hardware limitation that are currently crippling the ability to complete with Apple iPhone and Android devices. NFC is also included in the next generation OS. 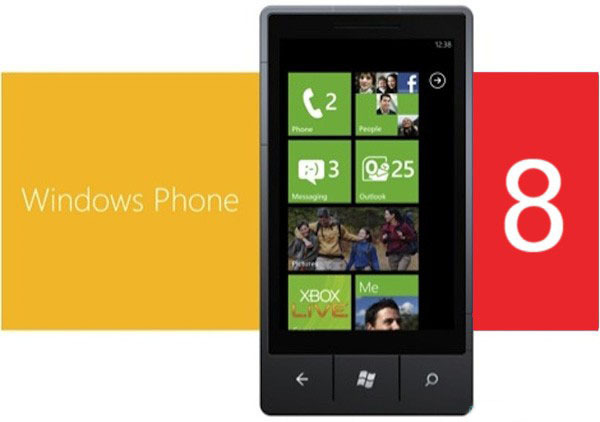 What do you think of Windows Phone 8?